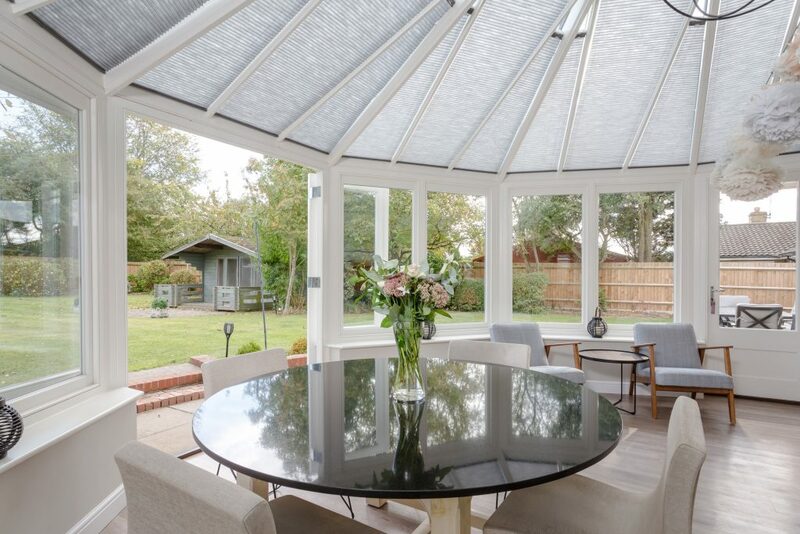 A bespoke wooden conservatory has a fully glazed roof and is typically pitched in order to let the maximum amount of light and heat into the room below. It is normally housed on a dwarf brick base with the sides also being fully glazed. 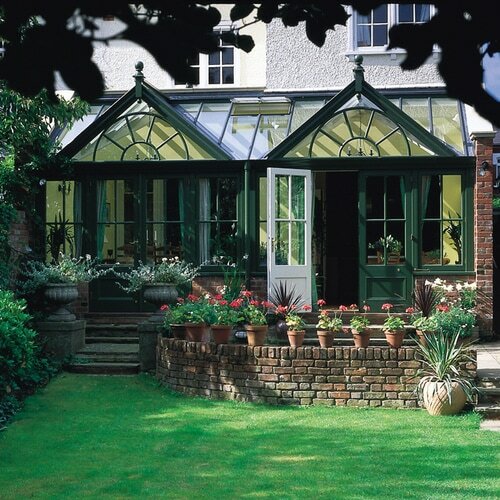 A product of our love of gardening and advances in heating and glass technologies, homeowners delighted in building conservatories dedicated to nurturing exotic plants and even animals. 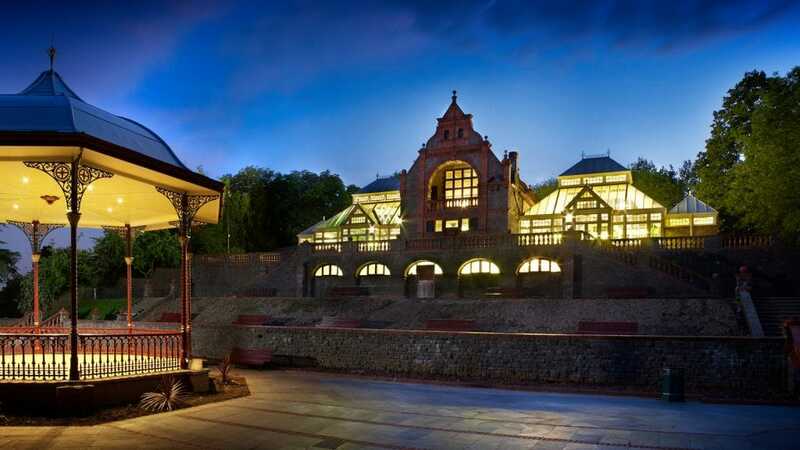 Nowadays, wooden conservatories are seldom used for this purpose, though they can still create a romantic space from which to connect with nature. More often, they serve as a formal dining area or occasional sitting room from which to enjoy stunning views of the garden. 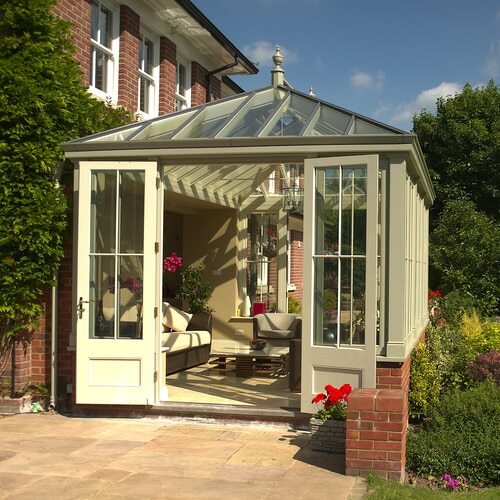 Coupled with the right building and situation, a wooden conservatory is a perfect choice to blur the line between garden and home. 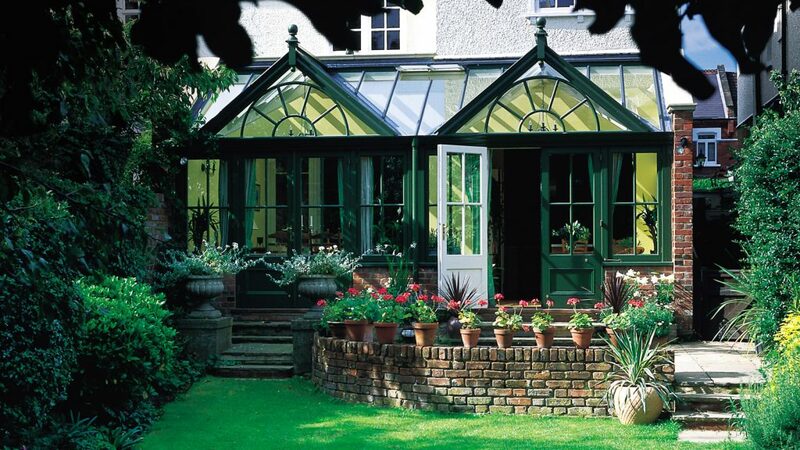 A wooden conservatory does not have to be plain by design. In fact, lanterns, eves and coloured glass can be incorporated into their design to add style, flair and architectural interest. The vaulted glass ceilings and sense of space can be magnificent and stylish. 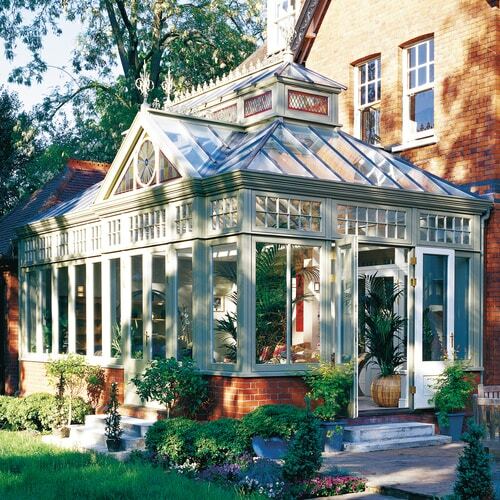 Furthermore, a wooden conservatory most definitely does not have to be white. In fact, we recommend using at least off-white to reduce glare and add depth to the mouldings, and encourage a different coloured exterior to suit your home. 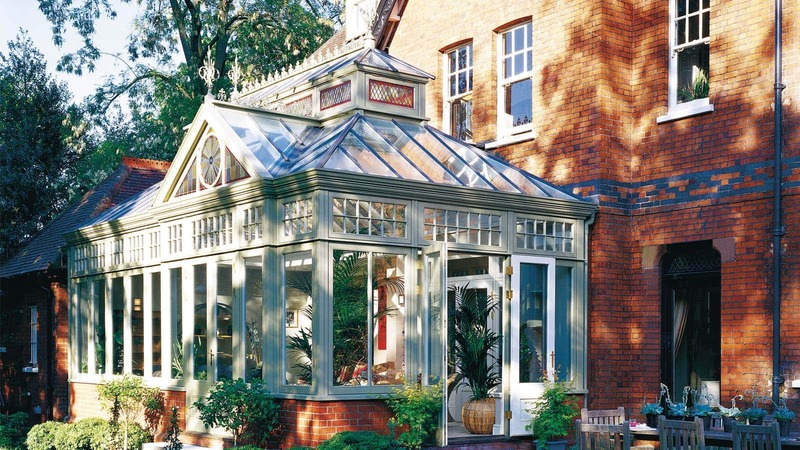 Our bespoke conservatory designers are able to offer advice and guide you through the complete decision-making process.